Notice how dull and scratched the finish was in this BEFORE image. As you can see in this AFTER image, the glossy, reflective finish was fully restored with our professional marble services. 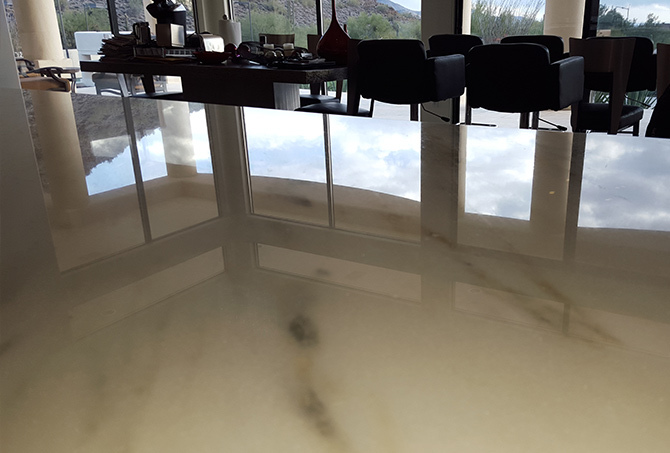 This beautiful marble top in a Tempe, Arizona residence was dull and scratched. Most of the reflectivity of the finish was gone, erased by years of use and zero professional upkeep. First, we masked and protected the surfaces surrounding our work area. Then we used hand tools with mounted with diamond pads to hone the marble. Our honing process removed a very thin upper layer of the stone, virtually erasing the damage and revealing the brand new stone underneath. We used progressively finer grit diamond pads to bring the honed finish to a beautiful, glossy polished finish. Our final step was to apply a sealer to inhibit staining. Our clients loved how luxurious their marble top looked when our restoration work was complete. To learn more, visit our Marble Services page. 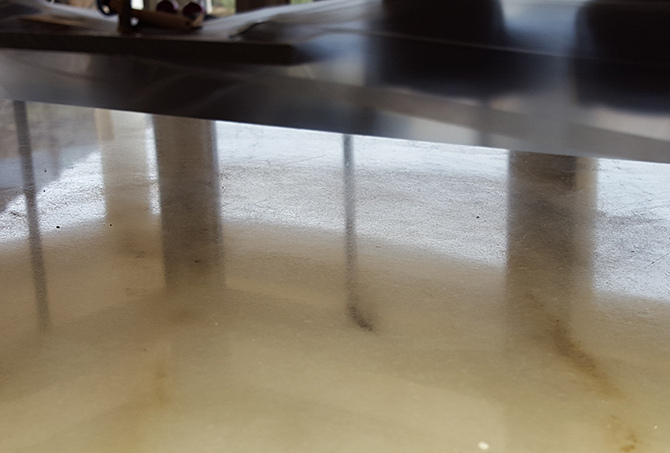 For a FREE estimate on marble polishing, marble repair, or any other marble restoration services throughout the Phoenix, Scottsdale, and Tempe area, use our contact form or call (602) 993-9800 today.